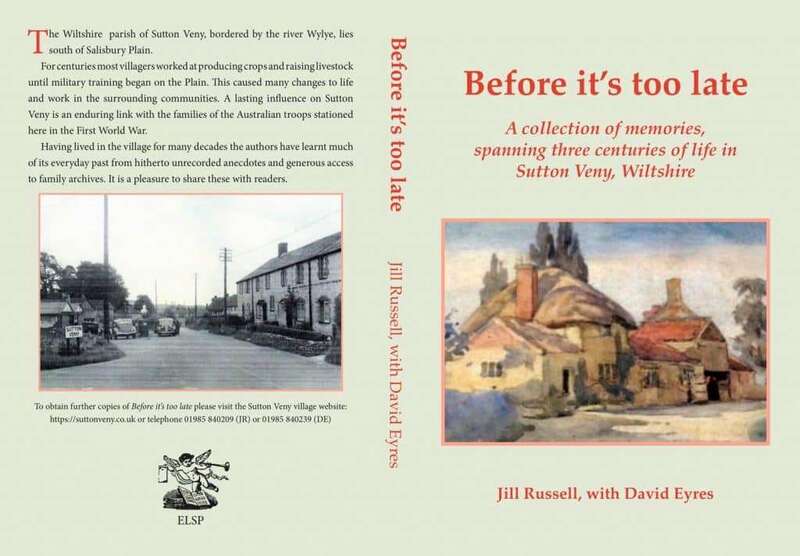 A collection of memories spanning three centuries of life in Sutton Veny, Wiltshire. The cost of the book is £12.00 and the book can be posted to you or collected from an address in the village with your payment. If you wish to know posting and packing costs for other areas of the world then please email: jill.russell@campfarm.plus.com before you place your order and you will be emailed the costs.